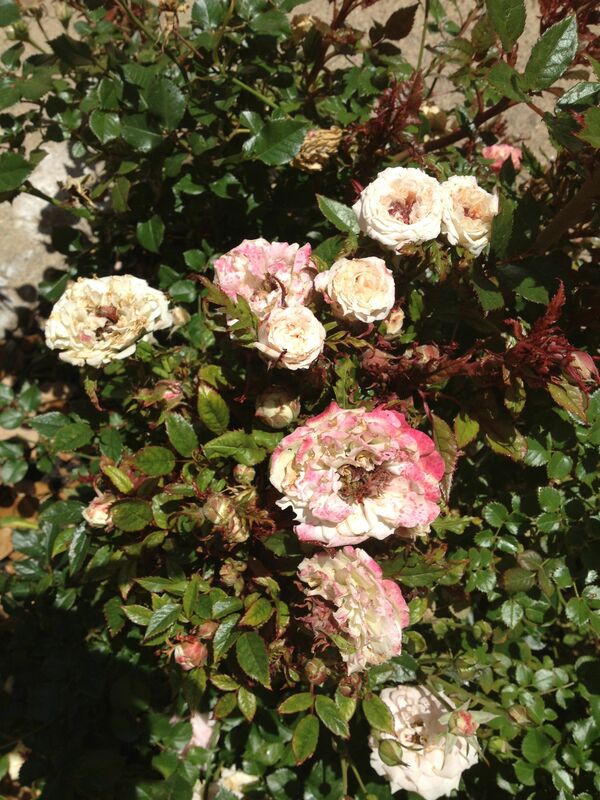 Have you heard of RRD aka Witches Claw Disease for Roses? I am completely heartbroken 🙁 I had a feeling there was something wrong with one of the roses in my garden. This year after trimming it, the new growth looked awkward, I can see now why they call it the Witches Broom! I am attaching a picture of my rose and a link in case your roses are acting strangely this year. http://web.aces.uiuc.edu/vista/pdf_pubs/666.pdf. I was at Costco yesterday buying another Knock Out rose to plant in my garden, when the nice gentlemen who was in front of me in line, asked if I had heard of the disease, the technical name is Rose Rosette Disease or commonly known as the Witches Claw. He said some of their roses have been infected and he was buying some treatments for them. He recommended to spray with Hydrogen Peroxide 3%. He also mentioned the problem is spreading in the DFW area. So, as soon as I got home, I trimmed and removed all the infected flowers and stems and sprayed the rose with Oxygen Peroxide 3%, then I got on the internet as usual to research more……which brings me to the sad part. Almost all the articles I have read so far are suggesting to remove the diseased rose because it will eventually kill the plant, it is a slow growing disease and it could infect other plants and roses in your garden. Oh my….but I just don’t want to kill my beautiful rose!! I have had this rose for many years and it is a beautiful rosette with flowers that change colors from all white to all pink and blooms the entire Spring, Summer and part of Fall. I am so sad!! I feel like I am at the Vet trying to decide whether I should put my pet to sleep or not….okay maybe not as bad but pretty close. If anyone has had success saving roses from this disease, please please share, I would love to hear from you and spread the good news rather than the bad!